Hello friends, my name is Meredith McDaniel & this is a glimpse into my people. We live in the small college town of Davidson, North Carolina where life feels a little slower in the summer, but bustling with professors, students, and townies come Fall. My husband Ben is the Area Director for Lake Norman Young Life and we just celebrated a decade of marriage & 15 years of doing this life together. We have 3 children: Grady(7), Judah(5), & Ellis Jane(3) who I spend most of my waking hours wrangling around our home, neighborhood, and schools. In my kid-free moments I am a writer & the primary counselor on staff at my local private practice, Milk + Honey Counseling. M+H serves families, couples, women, teens, & “hive” groups in the Lake Norman area who are longing to live and experience more full life here on earth. I count it a gift & humbling privilege to get a front row seat listening to the stories of women of all ages & sometimes their other halves or teenagers on my counseling couch. As someone who began therapy myself in college, I cannot express the luxury it can be for us all in various seasons of life to sit with an unbiased professional to process this life. I hope you will find this space raw, real, & refreshing for your hungry souls. May we all learn to taste of the land of milk + honey as we gather together here to redeem our narratives in hopefully many years to come. May we meet together & find fuller life as the light cracks through. Meredith has worked with college students, teenagers, & children in various settings over the past 15 years. In undergraduate school she earned a BA in Multidisciplinary Studies with a concentration in “Religious, Social, & Psychological Aspects of the Family”. Meredith picked a self-design major because she knew she wanted to attend graduate school to get her Masters in Christian Counseling. She graduated from Gordon Conwell Theological Seminary in 2010 & joined a well-established private practice in the following months where she went on to set up a satellite location in Davidson, NC. She has also served as the Lead Counselor with Inheritance of Hope, a ministry which serves families who have a parent with a terminal illness where she offered counseling services on retreats annually. In college & the early years of marriage she was on Young Life staff, a non-denominational ministry that focuses mainly on loving high school students relationally. She has been married for 8 years to Ben who remains on Young Life staff in the Lake Norman Area. They have 3 children under the age of 6. 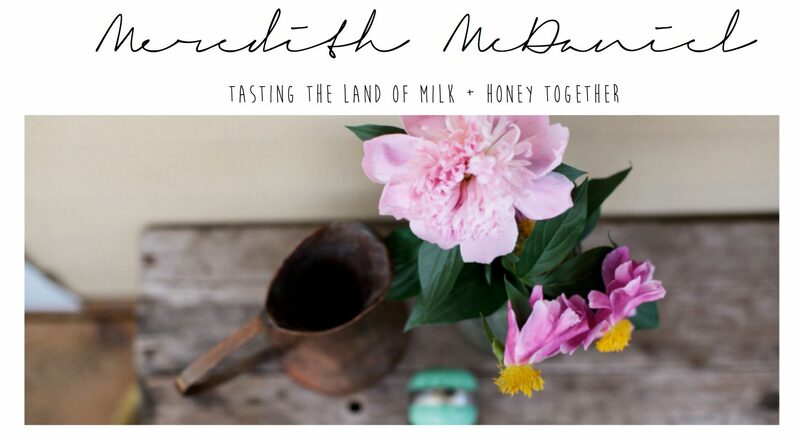 Meredith says she could spend hours sitting & listening to the stories of individuals & feels called to enter into the quieter places of people’s lives in a safe setting to help others taste of the land of milk + honey. Active Member of: ACA, AACC, & LPCANC. Thank you for your generous offer. I will hop over to check it out.